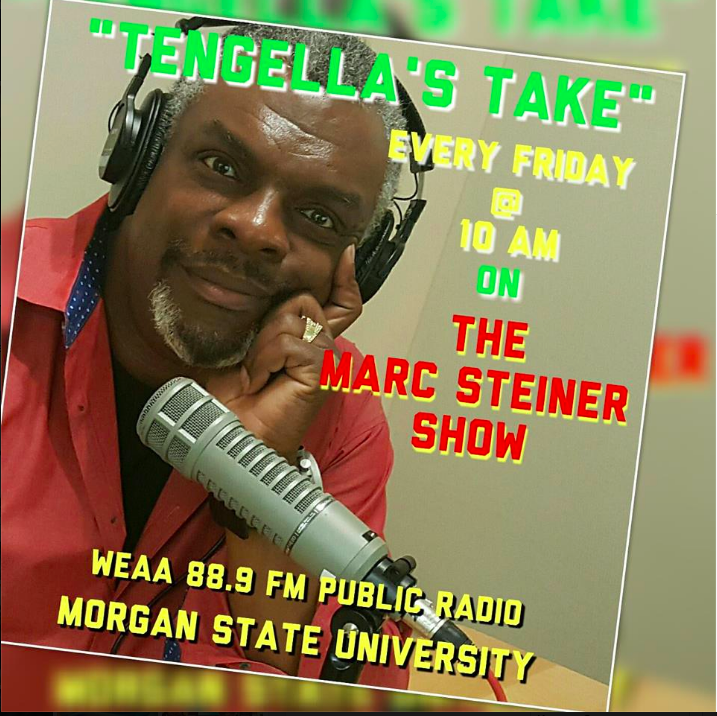 Tomorrow, get ready for an hour talking about planning for the influx of people coming into Maryland because of Base Realingment and Closure with Lietenaunt Governor Anthony Brown. Scratch that. Elected officials are busy, and when your boss is the Governor and asks you to clear your schedule to come to a meeting, you listen! No harm, no foul. We're working to schedule another date soon. Good thing we had a special super secret show in the works!! Ahmad Khalidi, a co-editor of Mideast Mirror, a London-based daily, as well as the Editor-in-Chief of the quarterly Journal of Palestine Studies. William Waack, a newscaster for O Globo, Brazil. He's spent multiple decades as a reporter, editor, and international correspondent for the Brazillian Press. Andrei Sitov, the Washington Bureau Chied for the Itar-Tass news agency of Russia. and Hugh Williamson, the Berlin correspondent for the Financial Times since 2001. We'll be talking with them about how America is viewed by their audience and in their countries. What does the world think of our domestic debates over immigration? What does the world think of our scandals (federal prosecutor firings, Plamegate, etc.) 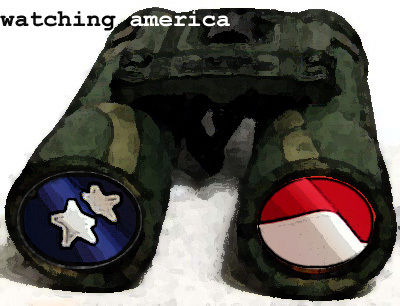 Watchingamerica.com shows the foreign press writing about topics such as tensions between Iran and the U.S. (understandable; has consequences for the entire world) and Paris Hilton's trip to, and from, and back to jail (less understandable; of course I care, and desperately, but why do they?) Enjoy the show. It will be the first of many such programs on Watching America. I'm going to jump in here with a few quick words about this hour's show. I just came out of the studio, where we recorded the interview that will be played at 1pm. The conversation never came around to Paris Hilton or any of the recent political scandals, but it did cover a lot of very interesting ground. To find out the details, you'll have to listen. If you don't catch it at 1pm, just go to http://www.wypr.org/M_Steiner.html. We'll have the audio up there as soon as possible. We taped the show in advance in case we had any trouble with all of the international phone connections, and to better coordinate with schedules in so many time zones. Since we won't be taking calls as it airs, we're really looking forward to some feedback right here! Tomorrow, get ready for an hour talking about planning for the influx of people coming into Maryland because of Base Realingment and Closure with Lietenaunt Governor Anthony Brown. Scratch that. Elected officials are busy, and when your boss is the Governor and asks you to clear your schedule to come to a meeting, you listen! No harm, no foul. We’re working to schedule another date soon. Good thing we had a special super secret show in the works!! WatchingAmerica.com is a website I try and check on a daily basis. It’s a place where you can read articles from the foreign press about America. The people who run the website have dozens of articles translated each day from the Middle East, Europe, Africa, Russia, China, and more. In conversations with the founder of the website, William Kern, we thought that Watching America could translate into a radio special, too. So tomorrow we are putting some hurt on the phone bill at WYPR (which reminds me…are you a member yet?) and talking to foreign journalists around the world. William Waack, a newscaster for O Globo, Brazil. He’s spent multiple decades as a reporter, editor, and international correspondent for the Brazillian Press. Enjoy the show. It will be the first of many such programs on Watching America. I’m going to jump in here with a few quick words about this hour’s show. I just came out of the studio, where we recorded the interview that will be played at 1pm. The conversation never came around to Paris Hilton or any of the recent political scandals, but it did cover a lot of very interesting ground. To find out the details, you’ll have to listen. If you don’t catch it at 1pm, just go to http://www.wypr.org/M_Steiner.html. We’ll have the audio up there as soon as possible. We taped the show in advance in case we had any trouble with all of the international phone connections, and to better coordinate with schedules in so many time zones. Since we won’t be taking calls as it airs, we’re really looking forward to some feedback right here!